Definitely intense, hair-raising action in the latest Coldwater Bay Intrigue suspense by Elizabeth Goddard! She never disappoints me with her stories, they have plenty of elements to keep me invested in them. This is a high-stake, action-packed, run-for-your-life but at the same time confront-the-danger adventure. I really love that Jonna is portrayed as a competent, strong female lead and not some wilting damsel in distress! She can well take care of herself in spite of the high-risk to her life. Ian certainly has his hands full trying to protect her almost strong-will nature. He's the epitome of a natural hero and would give his life to keep her safe. Though they sound like perfect people, they aren't! They struggle with mistakes in their past that cost lives and need to learn to forgive themselves in order to move on. The author puts them in situations where they need to confront those issues and find peace in God. I like the realism throughout the story, bringing it to life in my mind. Under it all, is the slow burn of romance brewing, though it doesn't take precedence over the suspense element. You can feel the attraction between these two and root for their happiness you know is coming at the end. Since I reside on the Oregon coast, I well know what our winter storms look like, sound like, and feel like and it adds to the already tense nature. I can picture in my mind what it looks like when Jonna jogs on the beach on a stormy winter night, bringing shivers down my spine! That's when I know the author did her job, when I can intensely feel the danger in a well-written suspense novel. I can't wait for the next Coldwater Bay Intrigue installment! Be sure to read the “Dear Reader” at the end, even Goddard said “she wrapped up in blankets while she wrote the story” because she could feel the intensity of those storms. 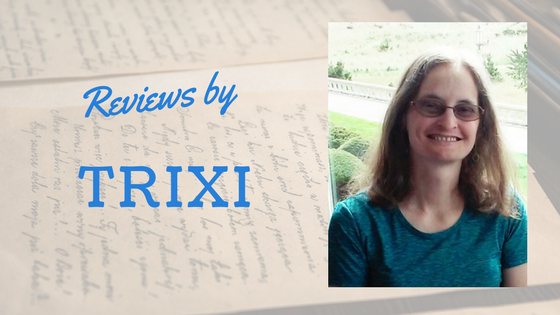 You know if an author can accurately describe something to make themselves feel it, you as a reader will too and are in for a treat! When someone tries to kill former government agent Jonna Strand, Ian Brady comes to her rescue. Now Ian must keep Jonna safe and catch the would-be killer—without revealing he was sent undercover to protect her. But when Jonna learns the truth, can she look past his secrets and lean on him to ensure they live through the storm-ridden night? Debra, I hope you get a chance to read this one soon! 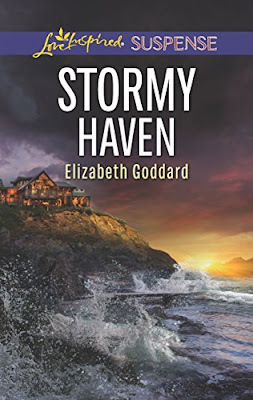 It really is a good one :-) Elizabeth Goddard is an awesome Love Inspired Suspense writer.